The best Friendship doesn't come when you’re together. It comes when you’re busy & realize that despite the time, friends never stop caring. Here's a collection of best, cool and latest Friendship SMS Text Messages. If you have your own favorite Friendship SMS Text Messages, we would love to hear it, simply add a comment below or just email it to us with a subject: friends text, and will posted up for you. Hope you'll like it! Hu convinces u dt der is an unlocked door just waiting for u to open it..
always change after so many years & time? You’re just starting to know who they really are. First, is to find out the similarities..
and second, is to respect the differences.! 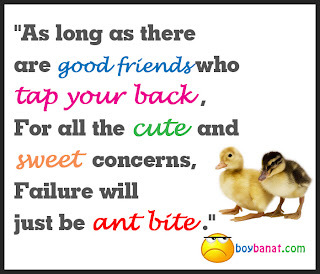 than bad friends in good times! But best to have true friends all the time! you’ll never get through it without your friends. forward will make you fall INLOVE. Friendship begins with simple talks. It blooms into a long & deep conversation. you begin to care so much. and you are being valued like no other. Friends, we have always been and Friends we always remain! Let’s raise a toast to our camaraderie. May our friendship be an example to others. your friends know who you are..
do you know who your friends are. The reason why a seesaw was made for two persons..
someone there to lift you up again! Time alone can prove the worth of a person. Friends 2 share d great moments n life. Friends 2 take d blues away. Friends that make u feel they care. you’re still my angel in disguise. If you have your favorite Friendship SMS Text Messages, feel free to share it with us and we will be very glad to have it posted here. 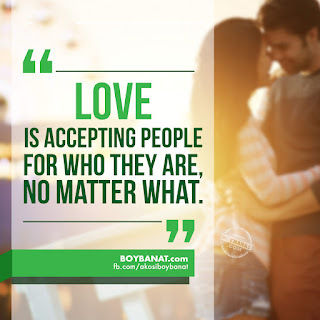 For more reads, just log on to www.boybanat.com or visit Boy Banat Official Facebook Page for the latest features.